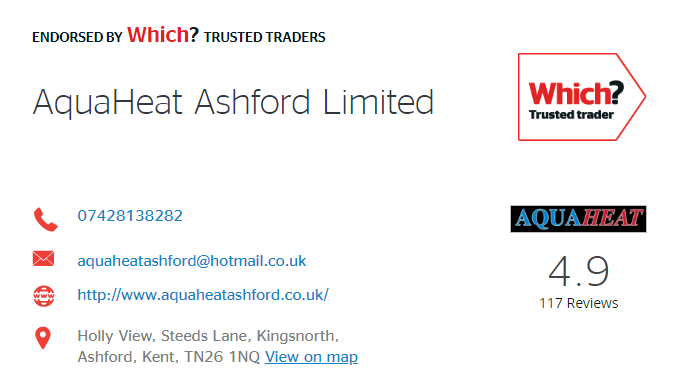 AQUAHEAT are specialists in central heating and are proud to offer a friendly and professional service to all our customers. 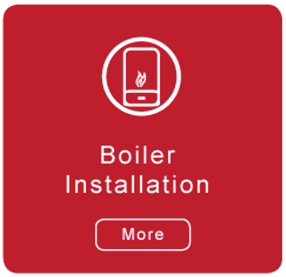 We are fully insured, Worcester-Bosch Accredited, Gas Safe Registered and a Which? Trusted Trader. 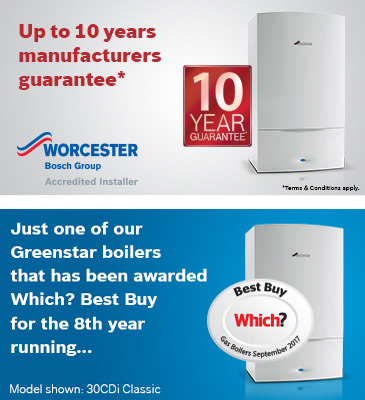 As we have been chosen to partner with Worcester-Bosch, we are able to offer an extended guarantee on all boilers we install. 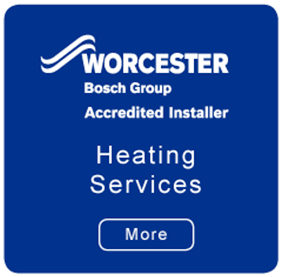 We are proud to partner with Worcester, as we know they provide high quality products to reflect our high quality service. As a Which? Trusted Trader, our business has been through a rigorous application process so you can be confident you are hiring a reputable trader. Once any work is complete, we ensure that all waste is removed from your home and either recycled where possible or safely disposed of. 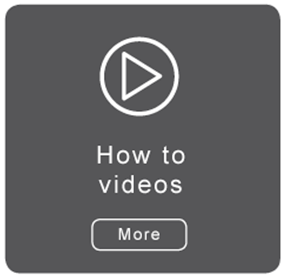 We want to ensure that you experience as little disruption as possible whilst the work is being carried out. 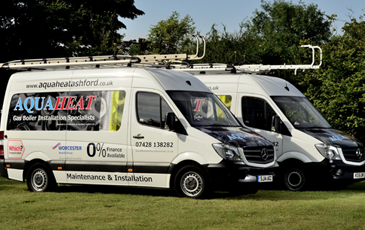 To ensure our clients receive a high standard of workmanship, experience and professionalism, our company is accredited and monitored by several trade and industry bodies. Very impressed with the care, expertise and workmanship displayed, as well as the impressive outcome. The best recommendation is when the job speaks for itself. Very professional, honest and trustworthy. Worked with attention to detail, neat and tidy. Did an excellent job. I would totally recommend them over any other company. 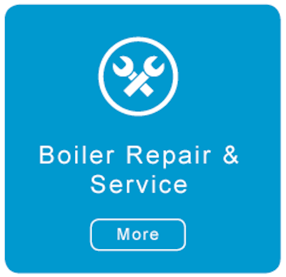 Lee of AQUAHEAT has installed 2 new heating systems for me and replaced a boiler in an existing system. He is always on time, there is no mess left and work is carried out at the agreed price. Lee and Dan, are polite courteous and work very hard. I highly recommend them.